Let's turn back the clock 12 years. Profoundly. Profound is a revolutionary new energy-based facial treatment designed to create new elastin, collagen and hyaluronic acid - the building blocks that keep your skin smooth and elastic. All without surgery, fillers or toxins, Profound dramatically improves aging skin, so you can look years younger. Atlantis Eyecare now houses a state-of-the-art laser surgery machine called CATALYS. Learn more about this breakthrough device and how it can help you. We recently cut the ribbon on a brand new Atlantis Eyecare office, making it even easier for Torrance patients to get top-tier care. Our cataract surgeons are among the most experienced in the nation and offer state-of-the-art techniques & surgery procedures. Diabetic Retinopathy is the leading cause of blindness in the U.S. Improve Your Vision, Enhance Your Look. With our extensive selection of eye glasses, we'll have no trouble meeting your vision needs and matching your personal style . Dr. Hani Salehi-Had is a vitreo-retinal surgeon specializing in the medical and surgical treatment of diseases of the retina, vitreous, and macula. A simple cosmetic eyelid procedure can you make you look healthier, younger and more refreshed than you have in years. If you are looking for eye surgery in Orange County, Los Angeles County, San Francisco or any other form of eye care, Atlantis Eyecare is here for you. Atlantis Eyecare is the largest eye care practice in the Orange County and Los Angeles area, with twelve locations and our newest location in West Los Angeles coming soon to serve you conveniently and comfortably. Our world-class eye doctors are experts in all aspects of eye care as well as leading specialists in vision correction, cataract surgery, and laser eye surgery. We offer everything from cataract removal to cosmetic procedures such as eyelid surgery. You can rest assured you will receive cutting-edge treatment in a comfortable, friendly and high tech environment. Our cataract specialists are among the most experienced and qualified cataract surgeons in the nation and expert in today’s cutting-edge cataract surgery procedures. Ready to leave your glasses and contacts behind? Atlantis Eyecare is the destination for LASIK laser vision correction in Los Angeles and Orange County. Glaucoma is the number one cause of preventable blindness in the United States. Our specialists know that early detection & treatment is of the utmost importance. Retina treatment requires delicate care and extensive expertise by our specialists in Huntington Beach & Orange County. Our chief retina specialist is one of the highest credentialed in the country. Now that you’re seeing clearly, isn’t it time to change the way others see you? We offer surgical & non-invasive procedures to address cosmetic concerns of the face. Healthy vision is vital to a child’s development. It is important to have any concerns evaluated by someone with special skills and knowledge in pediatric eye care. Thanks to a technology known as refractive lens exchange, you can be rid of your cataracts and seeing clearer than ever in less than one hour’s time. There are several different lens types to choose from. Our cataract surgery is arguably the best in the field and if you are looking for top-notch results than Atlantis Eyecare is your center. Laser vision correction is a truly remarkable technology. However, one’s results depend heavily upon the skill and expertise of the surgeon performing the procedure. Our doctors are among the region’s highest trained and most qualified laser vision experts – having collectively performed more than 30,000 laser vision correction surgeries. Here at Atlantis Eyecare we have assembled a team of ophthalmologists, optometrists and eye surgeons that is second to none in the field of eye care. If you are seeking an eye doctor in Orange County or Los Angeles for cataract surgery, laser vision correction, or general eye care you have come to the right place. Most people think of LASIK or cataract removal when the topic of eye surgery comes up. LASIK was revolutionary when first introduced to the public and is still among the top eye surgery procedures giving back the gift of clear sight to many. There have been many other exciting developments in eye surgery in Orange County allowing people who were not candidates for procedures such as LASIK surgery to enjoy clear vision again. One such procedure is refractive lens surgery. This procedure provides patients with the option of exchanging cataract clouded natural lenses with multi-focal intra ocular lenses or IOLs. 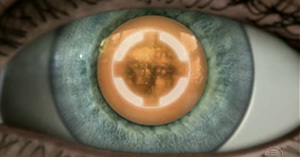 Cataracts affect all aging adults, some more than others. It is a gradual process of deterioration until finally surgery is necessary to remove the cataracts and restore acceptable sight. IOLs allow patients to proactively replace clouded lenses well before cataract surgery becomes necessary, thus eliminating the need for reading glasses along the way. Here at Atlantis Eyecare, your comfort and quality of care is our foremost priority. That’s why we strive to bring you cutting-edge care in a tranquil and high-tech environment. Whether you choose to visit us at our eye care center in Newport Beach or in Laguna Hills, you will be greeted by a friendly and knowledgeable staff and receive treatment in a state-of-the-art facility. We know that high-quality care can only be delivered on an individualized basis, one patient at a time. That’s why we take the time to get to know each patient, listen to their questions and concerns and create personalized treatment plans suited to each. Here at Atlantis Eyecare we are proud to boast a team of top cataract surgeons, made up of some of the most experienced refractive lens surgeons in the state. Each of our cataract surgeons is highly trained, board certified and expert in their field. Equipped with the full array of leading-edge advancements in cataract surgery, our team can quickly and painlessly treat cataracts, dramatically improving vision and often greatly reducing dependence upon eyeglasses. With state-of-the-art cataract centers in Huntington Beach, Newport Beach, Laguna Hills and elsewhere, we are proud to provide the finest cataract surgery. Advances in eye care have changed what is possible for patients afflicted with cataracts. 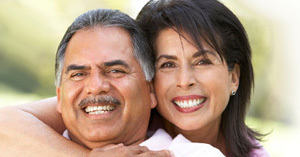 Cataract surgery can now be done swiftly and painlessly and with little to no downtime. Many people are unaware of the incredible options available to them today. With the advent of premium intraocular lenses (or IOLs), patients can not only have their cataracts treated with ease, but also can also dramatically improve their vision at any distance and greatly reduce or even eliminate the need for eyeglasses. At Atlantis Eye Care in Orange County, we specialize in this procedure, known as refractive lens exchange. 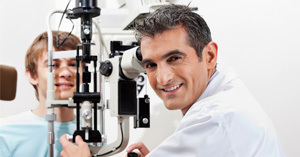 If you are in the Long Beach Area, learn more about our optometry treatments. Most health insurance plans will cover your LASIK surgery. Here at Atlantis Eyecare, our insurance experts will work with you and your insurance provider to ensure you get the maximum possible benefits from your insurance plan. Whether or not we are listed by your plan as a preferred provider, we can help you make sense of your coverage to ensure that you get the medical care you need. Just give us your insurance information and let us do the rest. For procedures not covered by insurance, we offer financing options through CareCredit. With a variety of payment options to choose from, our patient counselors will work with you to determine which plan is best for you.